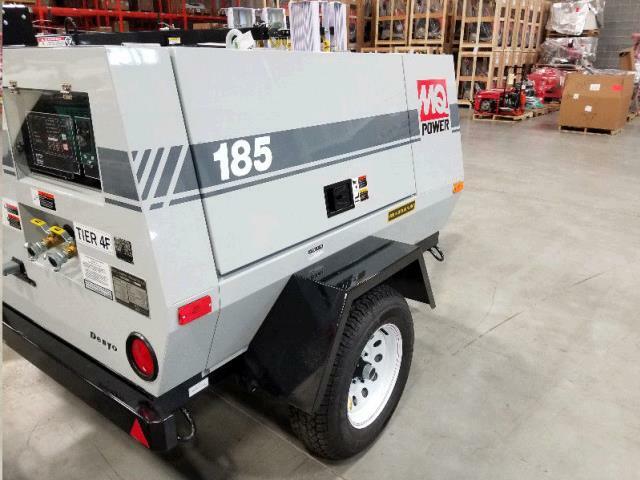 Multiquip is proud to introduce the 185 cubic-feet-per-minute DIS185SSI4F Air Compressor , engineered to meet the needs of construction and equipment rental professionals, is powered by a 49 horsepower Isuzu diesel engine that meets EPA Tier 4 Final engine emissions. 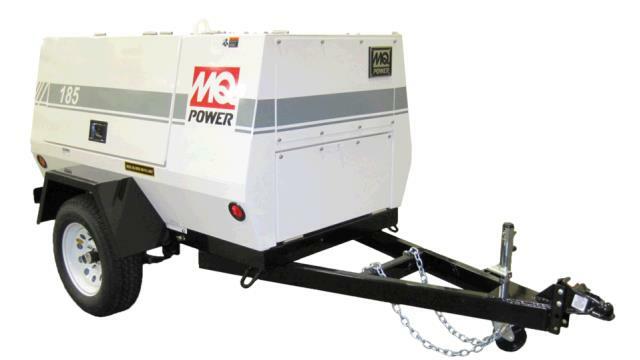 Heavy duty, 4-cycle, direct injection, turbocharged diesel engine provides maximum reliability. EPA emissions certified - Tier 4 final emissions compliant. Sound attenuated, weather resistant, steel housing provides operation at 69 dB(A) at 23 feet. Fully lockable enclosure allows safe unattended operation. Large side doors to provide access to engine and compressor. Lockable internal tool box for storing tools and hoses. D.O.T approved tail lamps, stop lamps, turn signal lamps and side marker lamps. Tongue mounted swivel jack with caster. Single-axle design with leaf spring suspension. E-coat and powder coat paint provide durability and weather protection. * Please call us for any questions on our air compressor 185 cfm serving Honolulu, Waikiki and surrounding communities on Oahu.